There is no disease in any part of the body. The disease is actually in the blood. Therefore, instead of researching on the body parts and wasting time, if we analyze the five reasons given above, we can cure our diseases by ourselves. We have seen that for diseases such as hole in the heart, eye defect and non-functioning kidneys that the concerned body part is not responsible for the disease. Please do not expect that other individual body parts also will be discussed in a similar way. It is not required to discuss each and every body part because for all the diseases in any body part the reasons are the same. If you say that any specific part has a disease, the disease is not in that part. The disease is in the blood. Is the skin on your palm the very same skin which was there when you were born or is it a new skin ? We see that the skin on our hands peels off and new skin is formed regularly. Similarly, is the nail on our fingers the same old nail or new one ? Is our hair the same hair that was there few years back or new one ? Our skin, nail, hair, etc. renew themselves regularly. In the same way, all the parts of our body from hair to toe nail replace themselves periodically. Normally, no doctors talks much about this. All our body parts replace themselves just like a snake peels off its skin and gets a new skin. The intestine in our body becomes totally a new one once in every 36 hours. The intestine that you have now is not the one that you had two days back. The white corpuscles in our blood replace themselves once in every 13 days. The red corpuscles in our blood replace themselves once in every 120 days. Liver replaces itself once in one year. Similarly every part of our body from hair to toe nail replaces itself on an average within a year. So, effectively all the parts in our body become new parts after a specific period of time. You will have one doubt. When did my liver become a new one ? I never saw the old liver come out of my body. How did the new one come into my body ? Our body does not replace a part just as a person removes a part from a car and throws it out, buys a new part from the shop and fits it in the car. Let us assume that there are one million people working in a company. If all of them are removed from their job one day and new persons are appointed, the work will suffer. But, if 10 persons are removed everyday and 10 new persons are hired, after some time on a particular day we will find that all the workers in the company are new people. Similarly, there are several millions of labourers (cells) working in the body workshop called liver. Every second, our body replaces several thousands of cells in the liver. By replacing them this way again and again, on a particular day, all the cells in the liver will be new cells. In the same way, every part in our body from hair to toe nail replaces itself periodically. Every minute, 300 million cells in our body replace themselves. If we rub our hands together, we will see a black matter like dirt coming out. It is not dirt. Actually, these are the dead cells coming out with the sweat. Our stools are yellow in colour because the colour of the dead cells is yellow. The dead cells go out of our body through the stools, urine and mucus. Thus, in one minute, 300 million cells go out of our body and new cells are formed. Therefore, if any disease in our body has not been cured for more than a year, then it is not a disease concerned with a body part at all. We proudly say, “I have this disease for the past five years.” Actually the same body part does not have the disease for the past five years. It is your blood that has gone bad for the last five years. Instead of treating the blood, we scan the body parts, do research on them, get surgeries done, consume medicines, tablets, etc. and magnify the disease but we do not cure the diseases. We would like to reiterate again that our treatment is not a treatment just to safeguard us against diseases that may come in the future. This is the treatment that also completely cures even the diseases that are already present in the body. 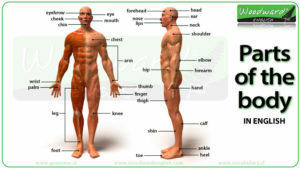 Therefore, whatever may be the extent to which the body parts might have been affected by a disease, there are ways by which the body parts can replace themselves without any medicine, tablet or surgery and we can cure all the diseases by following these ways to replace our body parts. So when we know the technique to replace our body parts themselves with good parts, is it necessary to give names to the diseases that come to the body parts? Doctors throughout the world name the diseases but they do not cure them. In our treatment, we do not name the diseases but we cure all the diseases. I know this site presents quality based articles and other information, is there any other site which presents such things in quality? Awesome issues here. I’m very glad to look your post. Thank you a lot and I’m looking ahead to touch you. Will you kindly drop me a e-mail?